Way back when, I wanted to experiment with some cake pops. I somehow convinced myself that I could get away without dipping them in chocolate. I know, you get it. It’s such a mess and a process, right? Right. Also, I’m not really a baker either. 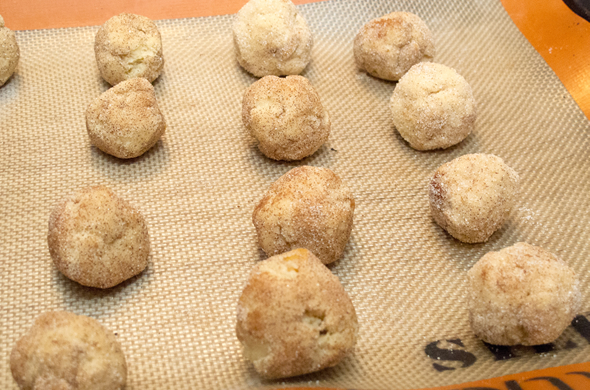 These cake bombs are a twist on cake pops and are about 90% successful. They taste amazing. 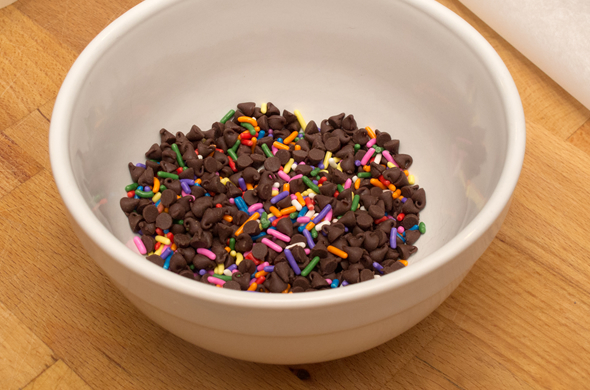 Nobody minds that the mess is sprinkles because hello, they’re sprinkles. Cook cake according to package. 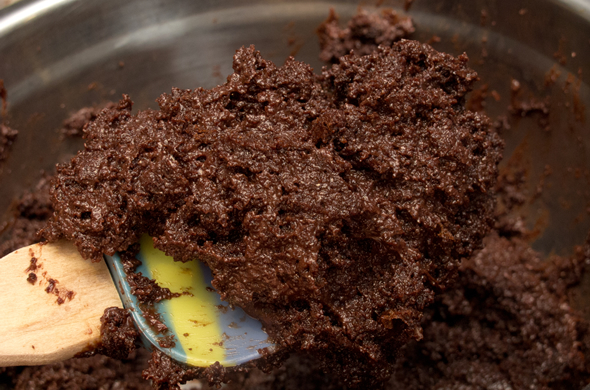 Mix cake mix and frosting together. 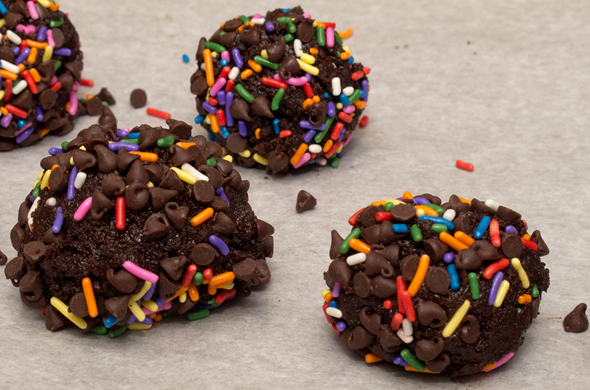 Roll into balls then dip in chocolate or roll in mini chips and sprinkles. They’re easy and I served them in cupcake wrappers. They give the impression of a truffle and taste pretty amazing. 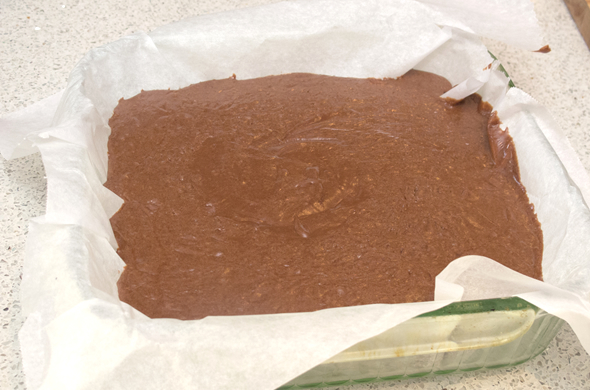 I’m glad I didn’t buy sticks just to make the mess to dip them in chocolate. 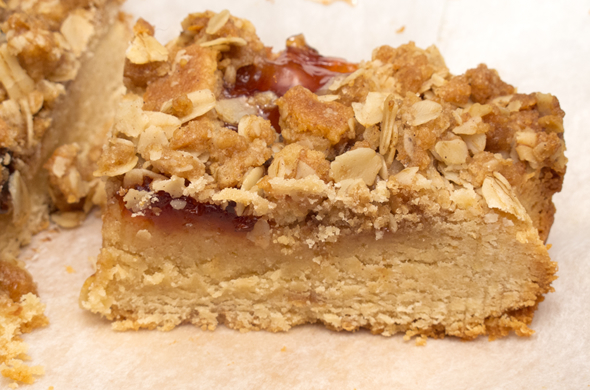 These Peanut Butter and Jelly bars came out of nowhere. 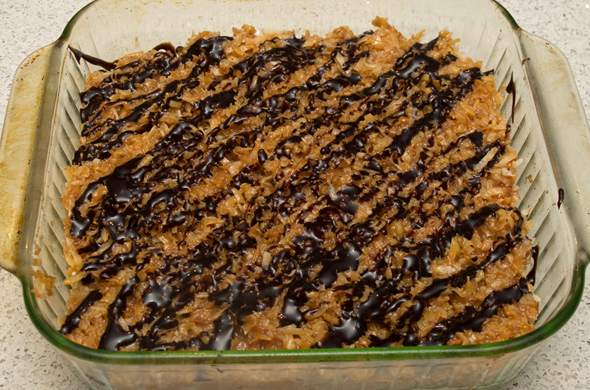 I agreed to make some sort of treat for the office when they hit a goal. The recipient would get a treat themed as the prize according to their role during our event. I hadn’t thought out what I’d make and figured I’d wing it when it happened. Welp. It happened earlier than I thought (which was a good thing) and SOMEHOW I was able to whip these babies up with ingredients at home. On our event, the participants, volunteers, and staff go bananas over these gramwiches. They seem to only be available in huuuuge quantities (like catering quantities, not even wholesale quantities). I attempted a homemade version and they were amazing. Maybe we were just starved and up to our eyeballs in calls/emails/etc but these seemed perfect. I’m not a big baker so that’s precisely why I don’t need to be humble about these babies. Stellar. 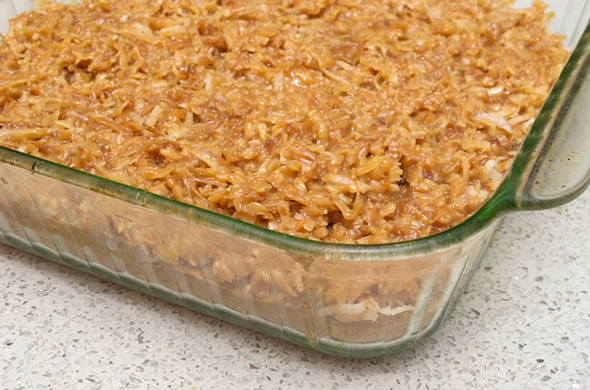 Preheat oven to 350-degrees and grease a 9×9 baking pan. 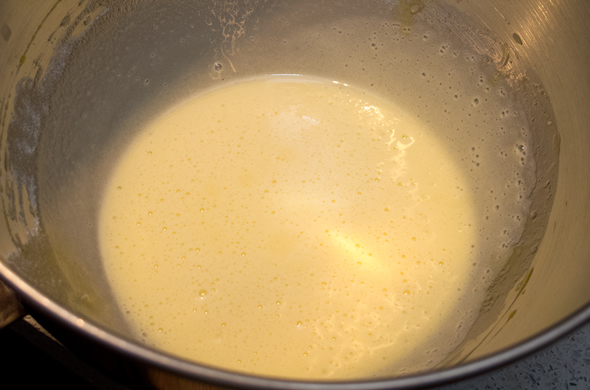 Using a stand mixer, mix 1 stick of butter, sugar, and vanilla for about 2 minutes. 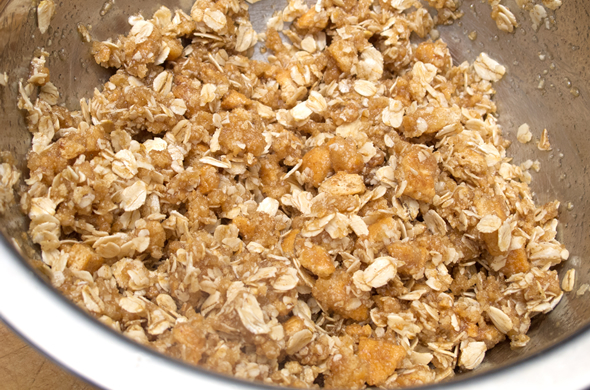 Add peanut butter, eggs and mix until combined, scraping down the sides. 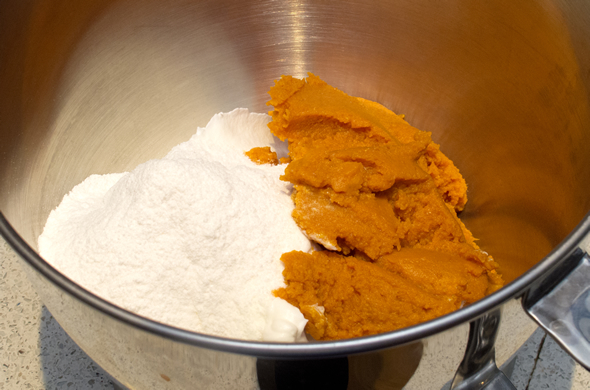 Mixing on low, add flour, baking powder, and salt until combined. 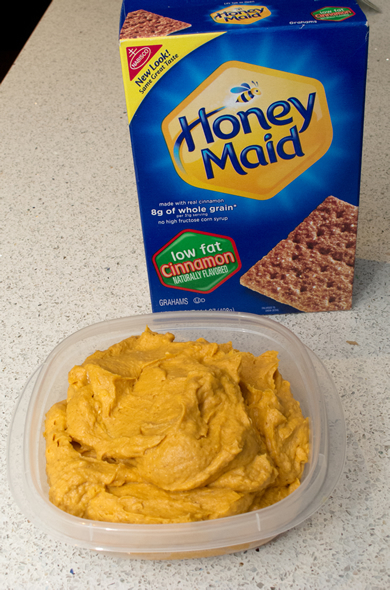 Add peanut butter chips and mix by hand. 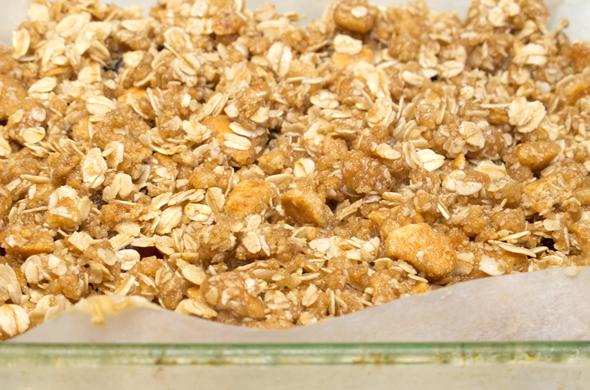 Melt other stick of butter and mix with brown sugar, oatmeal, cinnamon, and graham crackers into a crumble. Add topping to the pan. Bake for 30 minutes. 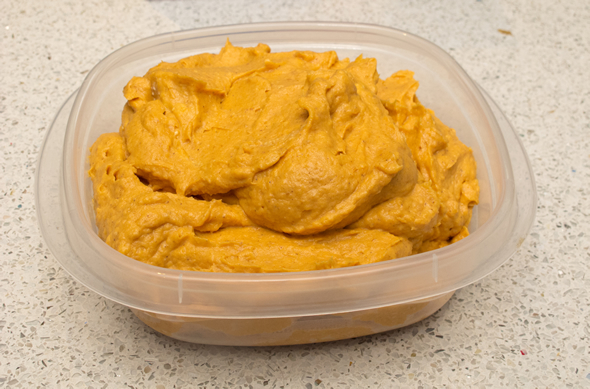 Allow to cool before cutting. These were so good. You know what makes them this good? The butter. The topping was so good because all good things have butter in them. It makes such a difference. I totally need to make these again. I’d probably up the jelly ratio…and maybe I’d double the batch. 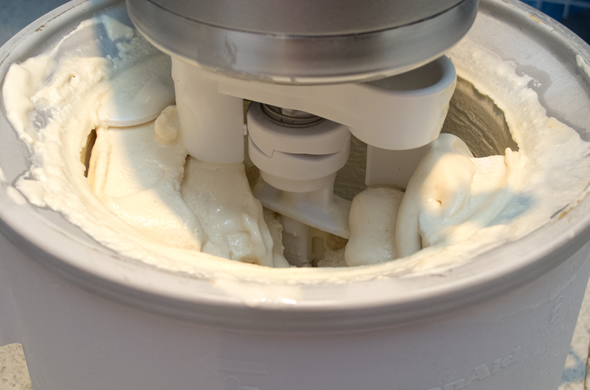 Just before St. Patrick’s Day I set out to make ice cream and couldn’t find any mint extract. Is that because of the green-ness for the holiday? 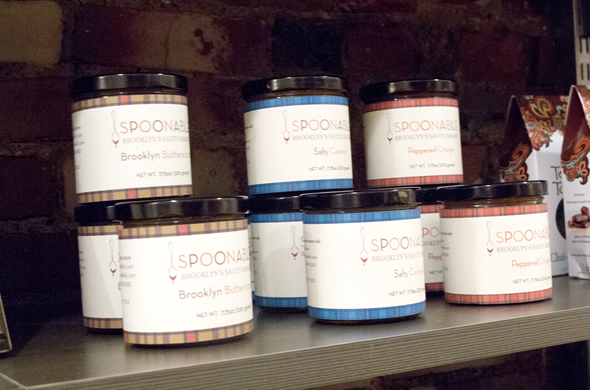 The store had lots of other extracts: rum; banana; orange; hazelnut, lemon, almond, raspberry; and vanilla. 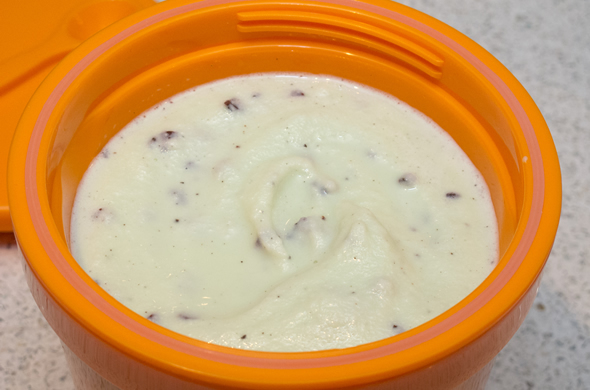 I found green food coloring and then scrounged around to find mint flavors I could add into my would-be mint chip ice cream. 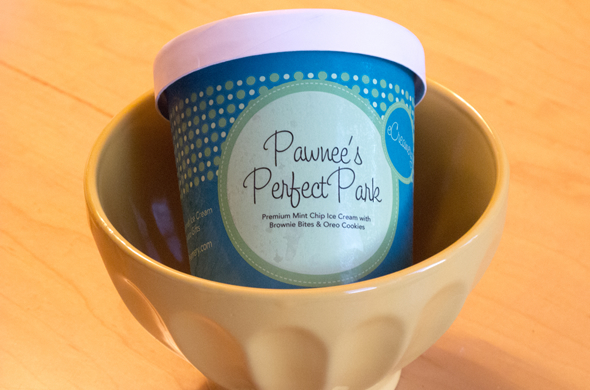 I was psyched to put my new ice cream containers to use! I found the generic Thin Mint cookies and figured why not?! I got fresh mint. Then I peeked around the dairy section finding York Peppermint Creamer. Sure, join this mintfest. 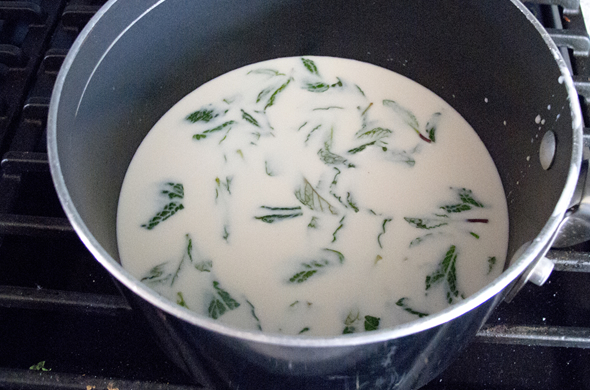 Cook milk, half and half, creamer and mint leaves in a medium pan, over medium-high heat. 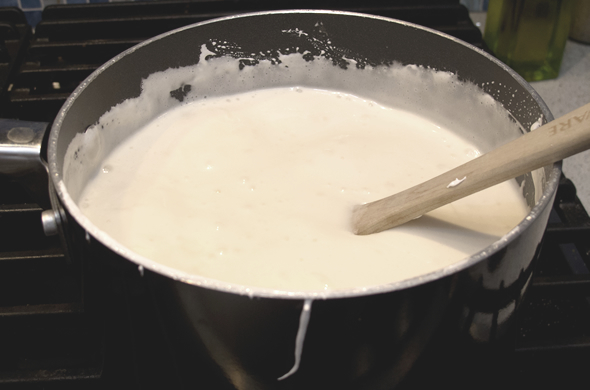 Heat about 5-8 minutes until the milk mixture gently bubbles, but doesn’t boil. Remove from heat and let the mint steep for about 10 minutes. While mint is steeping, in a small bowl, mix sugar, salt and egg yolks. Whisk to mix throughly. 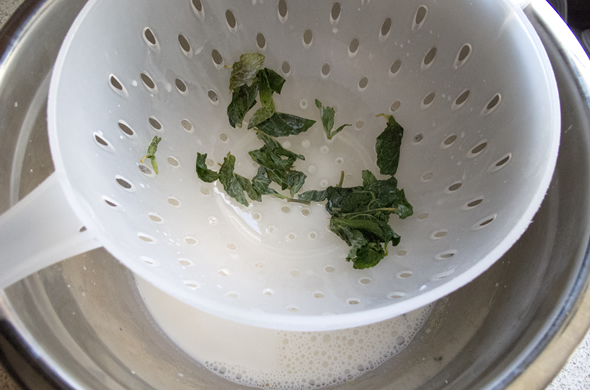 Pour milk mixture through colander to separate the mint leaves. Press all the milk out of them and disgard. 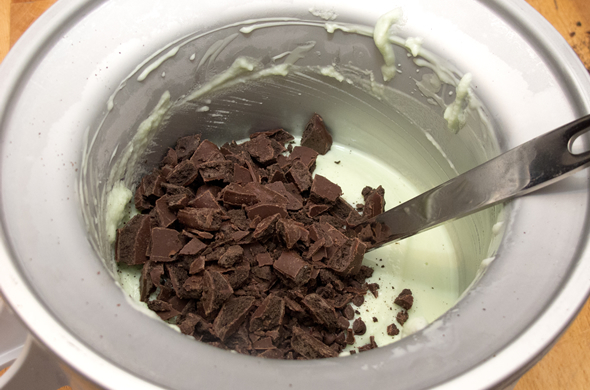 Return mint mix to pan over medium heat. 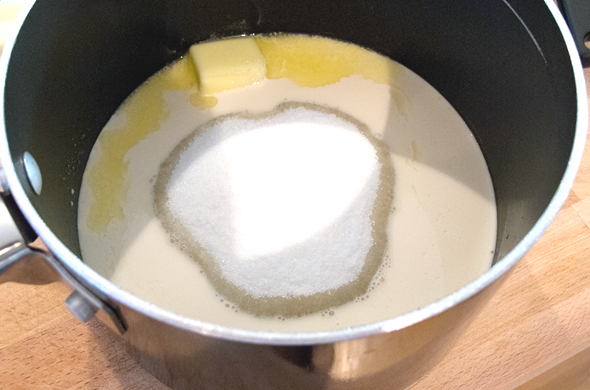 Slowly add the egg/sugar mixture, stirring for five minutes. 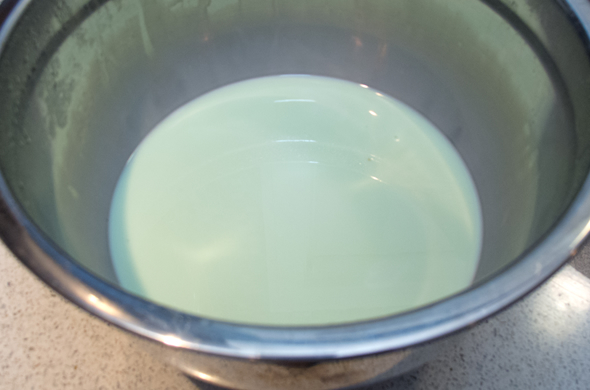 Remove from heat, add vanilla and a few drops of green coloring. 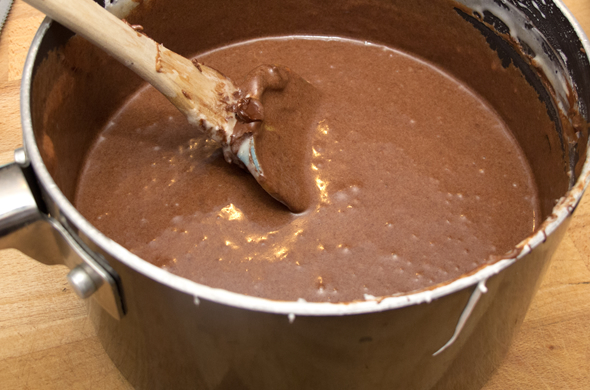 Refrigerate for a few hours, stirring occasionally, until completely chilled. Add the rest of the green drops until it becomes your color of choice. 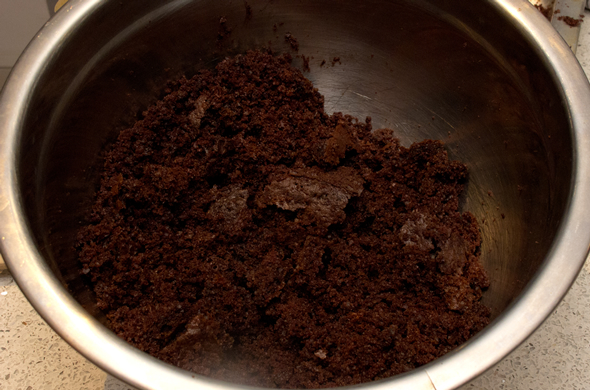 Mix according to manufacturer’s instructions (I mixed 35 minutes). 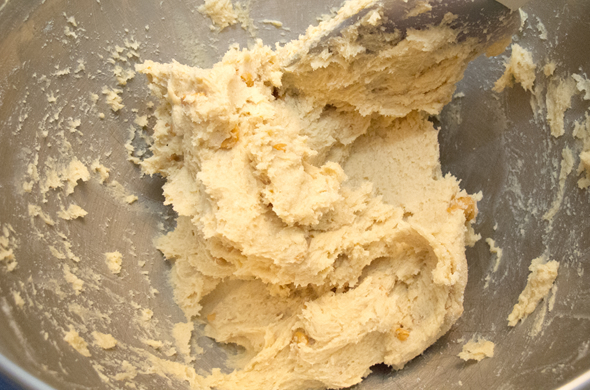 Mix cookies and chips in by hand. 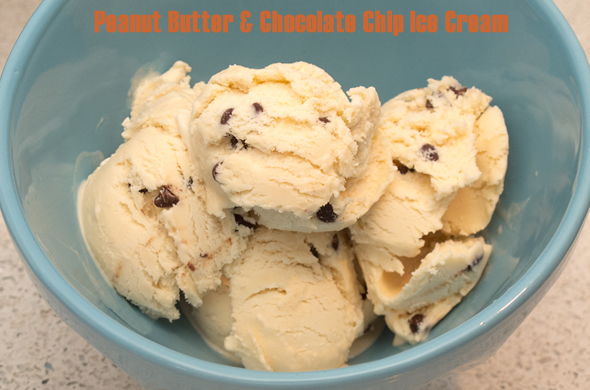 Makes just over 1 quart. 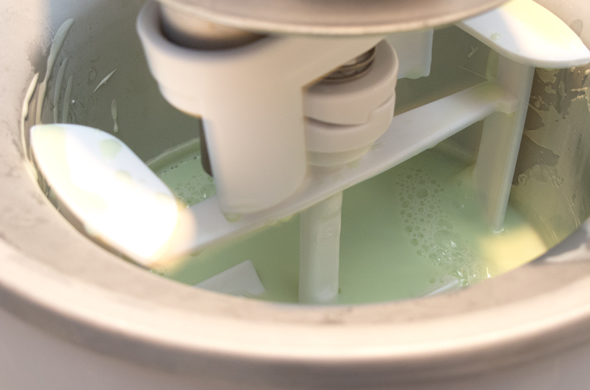 Ohh my minty ice cream. I worried about the mintiness since I couldn’t find mint extract. Apparently, when you add every other mint thing you can find, it tastes minty enough. It wasn’t perfectly creamy. There was a tiny edge of an icy texture. I really think the non-dairy creamer is at fault for that. Whole fat milk is best and that non-dairy stuff is a little bit creepy now that I think about it…. When I smelled the mint, I immediately wanted a mojito. Is that bad? I smell mint and bypass toothpaste wanting a mixed drink? Mint oreos would have been good, but they seem to sell out for St. Patrick’s Day too. I brought this to our green/St. Patrick’s Day potluck. I didn’t photograph it, let’s just say it wasn’t our finest potluck. Maybe next time. These cookies are Girl Scout Cookies-gone to the bar. Hahaha. I crack myself up. I gave these to Mr. J as and I-owe-you at Christmas when I had lots of cooking before our holiday celebration with each family, and had plenty of holiday cookies around. I finally made ‘em and they were a baking success! 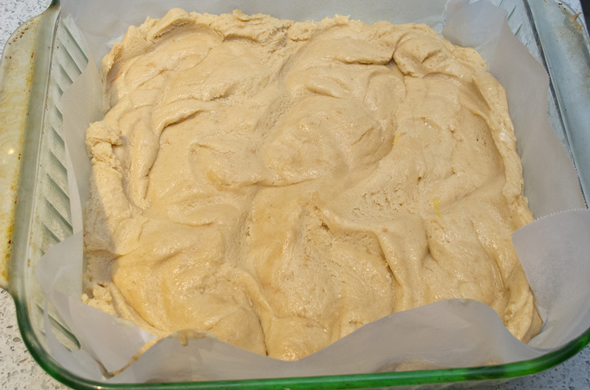 Preheat oven to 350 degrees and spray/flour/line with parchment a 9×13 baking pan. 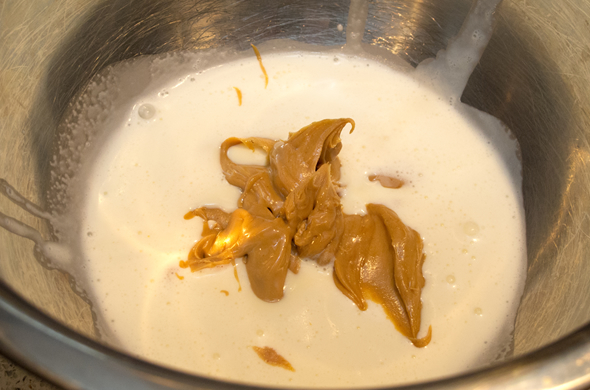 Using a stand or hand mixer, cream sugar and butter together. 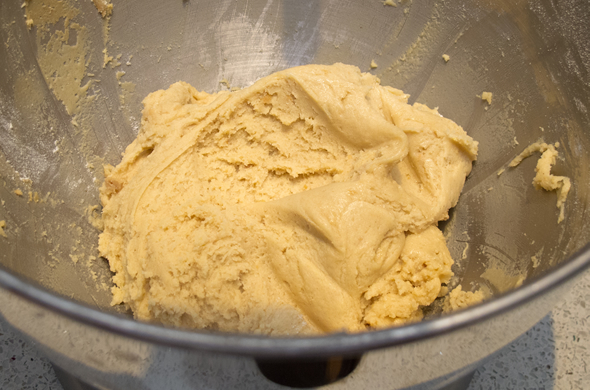 Gradually add flour and salt, mixing until crumbly. 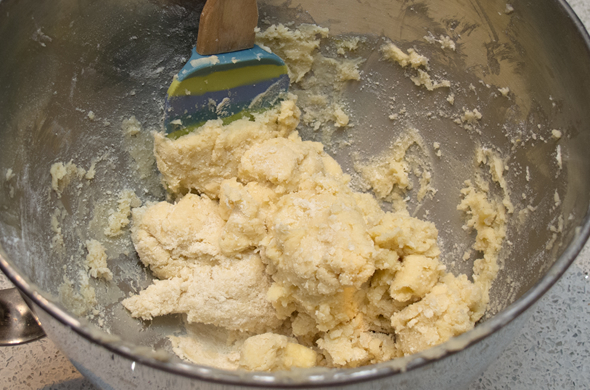 Press doughy mixture into the pan and make a few holes with a fork. 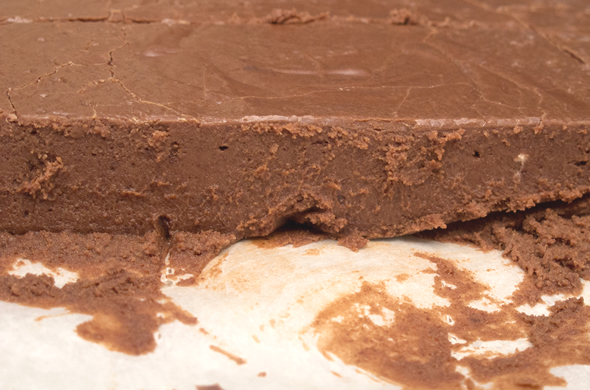 While shortbread base is cooking (or cooling if you prepped it in advance), put cocoanut onto a cookie sheet (with sides/edges) and spread into an even layer. 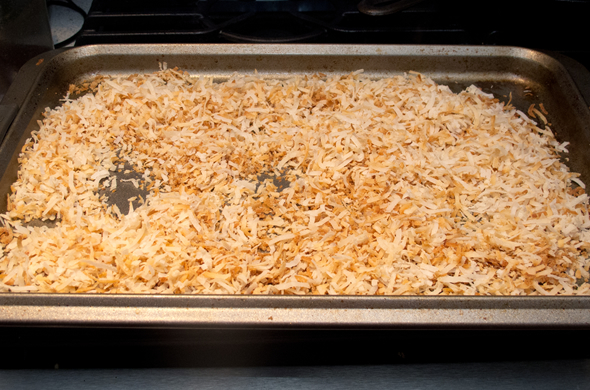 Bake for 15-20 minutes, stirring every 5 minutes, or so, until evenly golden brown. 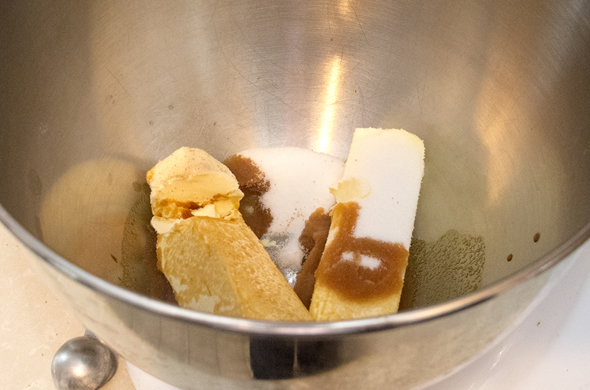 While coconut is toasting, start unwrapping caramels. 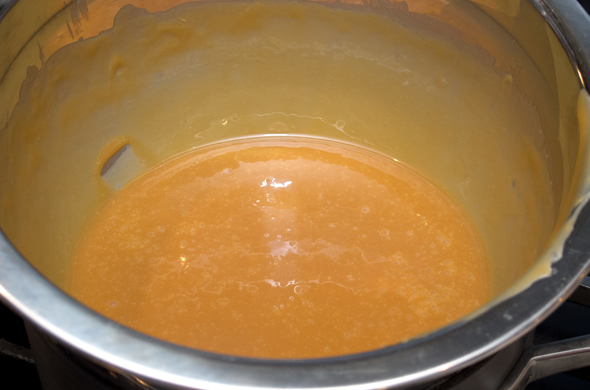 Melt caramels over a double-boiler or in the microwave. Stir occasionally. 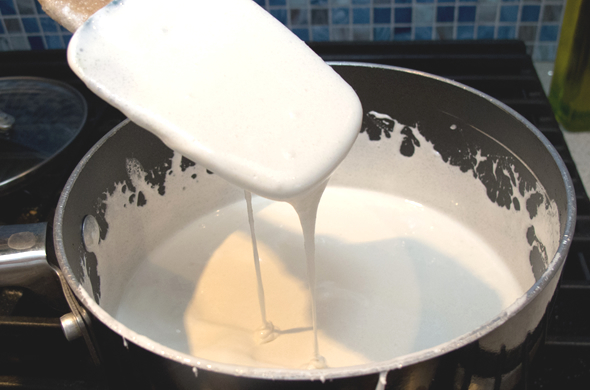 When partially melted, add milk and salt. 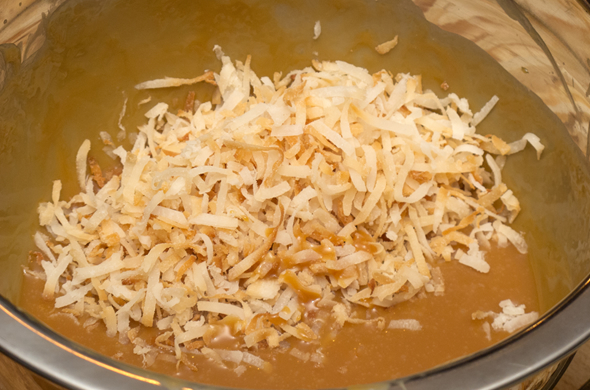 Stir toasted coconut and caramels together. 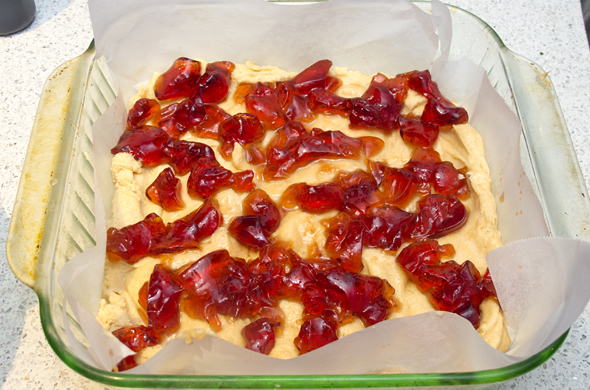 Spread coconut & caramel topping onto the shortbread base. 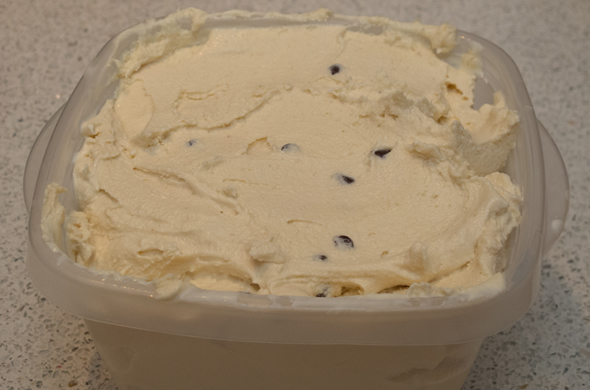 Allow to cool somewhat before drizzling melted chocolate chips or chocolate syrup. 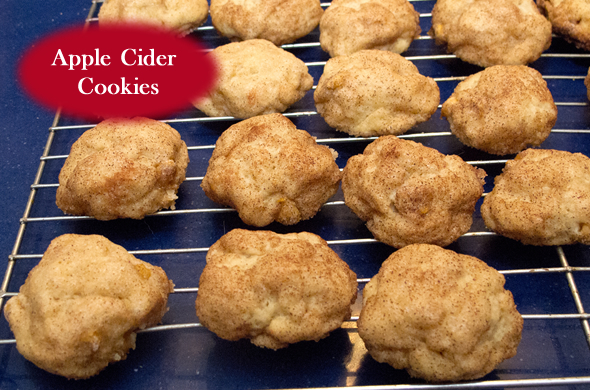 These are not exactly as tricky as they might first seem. 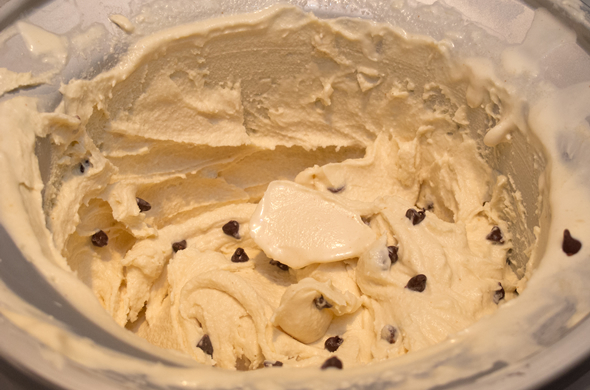 I’m not a baking connoisseur, so I’ve listed steps so you’re ready for the next one. 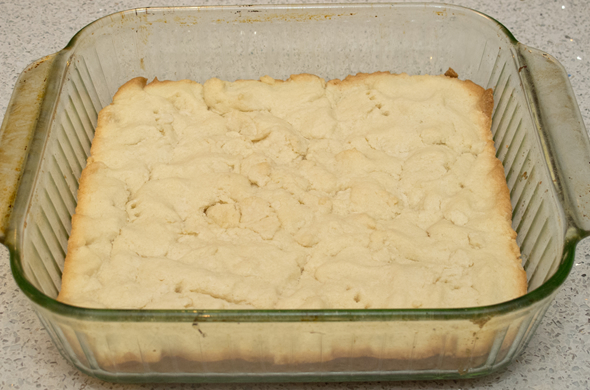 I stuck to the recipe (I never deviate when baking) except that I used a 9×9 pan and the shortbread was wayyyy too thick. It didn’t seem like it until I baked it and it puffed a lot. 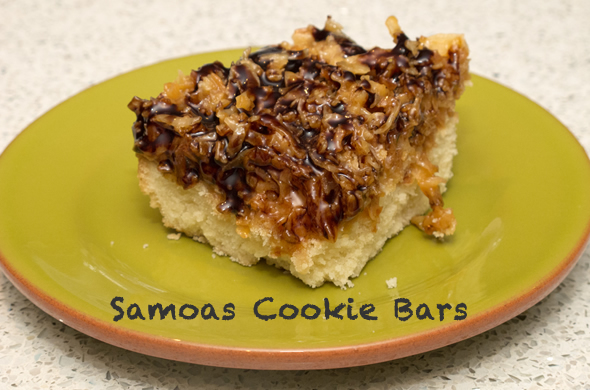 The flavor was good and as bars, they were much less work than shaping cookies etc. These guys won’t exactly fool anyone into thinking they are sold by your local girl scout, but a 4-something a box, you could make a LOT of pans of these bars for that price. The other day, I came home from work after being gone for 12 hours to find a surprise from one of my favorite people, Mrs. Z! I’m proud to be her friend and so impressed she found ice cream to send to me. She even themed it for my life and one of my favorite shows. Mr. J and I are doing really well dealing with everything and trying to keep on, keepin’ on. It is just so nice to hear from all the people who want to offer condolences and encouragement (note: it doesn’t get old and is greatly appreciated). That’s just how Mrs. Z rolls. She picks you up, thinks of exactly what you need, and serves it with a smile. She’s one of the kindest people I know and I appreciate her, all the time, but especially now. She just gets me and I know she’ll have a thoughtful response to whatever I throw at her. Her hubbie, Mr. B, is equally awesome (and he was a guest blogger woo hoo!). I only hope I get to meet baby Z allll the way in Houston sometime. I don’t get to see her nearly enough, but we’ve shared some big-time memories, unforgettable moments I’ll never forget. 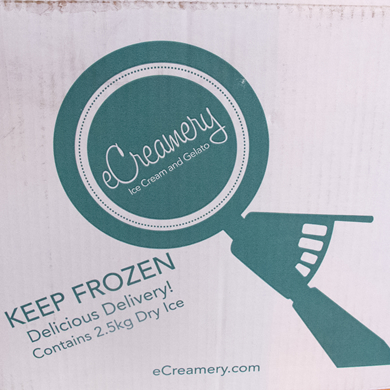 She sent me eCreamery! I haven’t even heard of this! 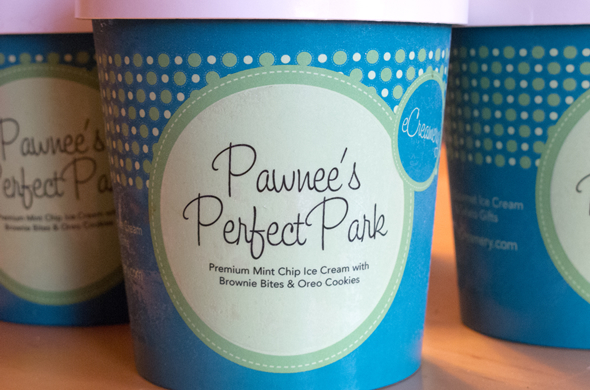 I didn’t even know you could send ice cream. 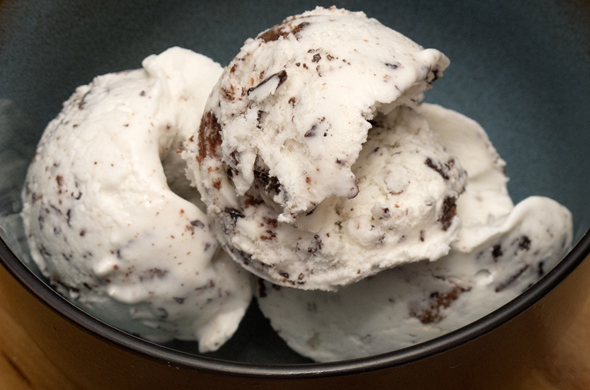 A snowy New England day needs ice cream, right? 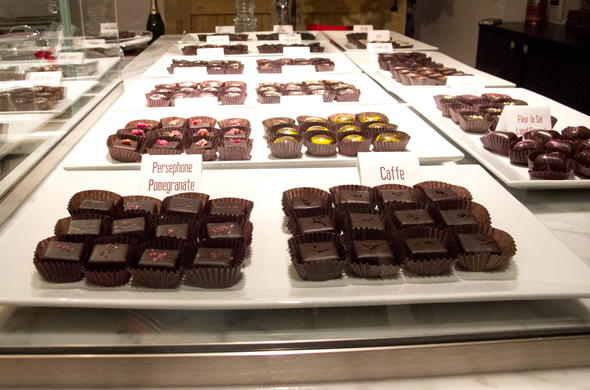 In the midst of everything else happening in my life, I was ever so grateful to spend a random Tuesday with Blog & Tweet Boston at Cocoanuts Boston for a chocolate tasting. Just. What. the Dr. Ordered. It was fun for a sweet treat and encouragement to go out in bitter winter. 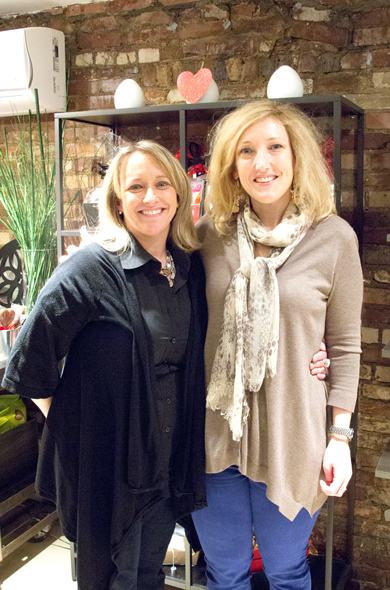 It was great to see Liz from Eating Places and Jessica from Little Miss Runshine there! 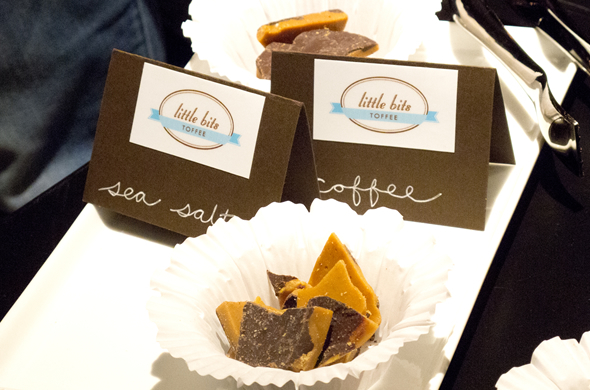 I joined some fellow bloggers from Blog and Tweet Boston for a fun night of chocolate samples, info, and champagne! The owners were truly an inspiration. These best friends decided it is never to late to do what you love. They left careers in advertising and real estate (did I get that right?) to open up a shop in the North End in Boston. 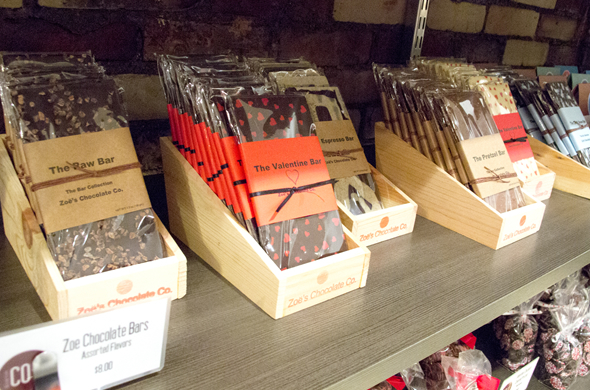 I loved hearing how passionate they are about quality products and their focus on local and artisan treats. I liked seeing other goodies, like ice cream toppings, in addition to the many candies. I thought I could easily grab a gift for anyone, for any reason. Their items range in price big time. I felt like there was lots of options to a little something and they will also build huuuuge gift baskets. We also got to meet Yes Chocolates. Sadly I devoured my sticky bun chocolate before snapping a photo. It was amazing, but I couldn’t believe this Walpole, MA candy maker hadn’t been to the town institution, Watson’s Candies, which has been in business continually since the 1930s. Tisk. Tisk. It is my alma mater/high school job. My loyalties will always reside with Watson’s. That being said, Cocoanuts was super cute, classy and creative. I loved the inside and was thrilled they thought of the blogger community to introduce themselves. Are you drooling yet? 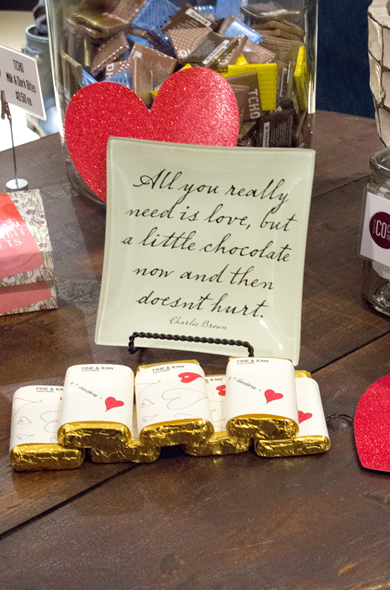 They’re hosting a wine & chocolate tasting on Thursday Feb 7th 6-8pm. Full 3 Bite Rule Disclosure: I attended this complimentary event as part of the Blog and Tweet Boston group. The product samples were completely complimentary but my experience, thoughts, opinions, and words are entirely my own.